Make your tax-deductible contribution and reserve your seat(s) by calling 608-356-8341 today! This event would not be possible without the generosity of our sensational sponsors and donors. Learn more about becoming a sponsor! Circus of Chefs … the Gala will be held on Sunday, June 23, 2019. The finest chefs, brewmasters and vintners in south central Wisconsin will work their culinary magic, providing guests with tasty appetizers, delicious entrees, decadent desserts and refreshing beverages. Guests mingle with friends; sampling sumptuous savories and bidding on a gargantuan array of silent auction items, while live soft jazz provides the ambiance. Guests purchase numbered corks, which they take to a cage wagon to claim their bottle of wine or liquor. Everyone is a winner in the cork sale, and some take home a truly exceptional wine or premium spirit. The evening culminates with an outstanding circus performance featuring Circus World’s galaxy of professional circus stars. 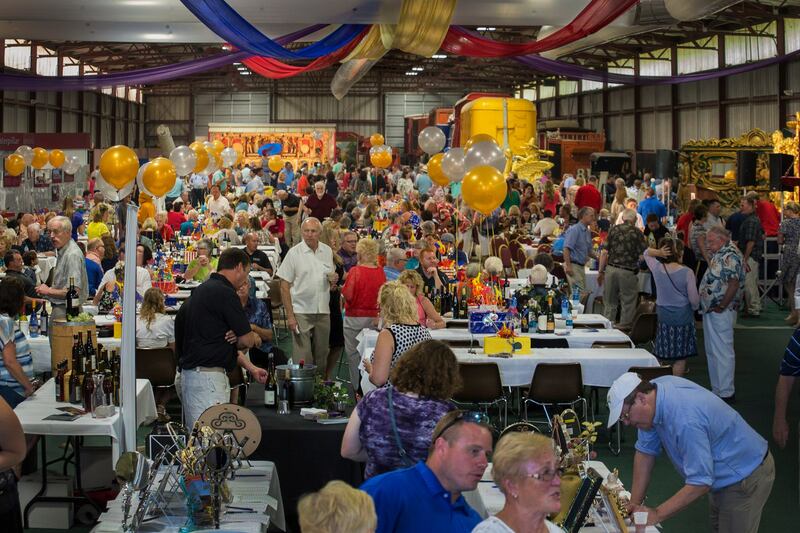 In 2018, longtime table sponsors, supporters, chefs, restaurants, vineyards and breweries joined with newcomers in all categories and generated over $170,000 for Circus World through sponsorship’s, ticket and table sales, auction items and donations of goods and services. This annual event provides unparalleled support for Circus World’s operations, performances and Library & Research Center services. Reserved seating at a table to be assigned for one participant to the 2019 Circus of Chefs Gala. Thank you for supporting Circus World!